For the past few months I have been on a mission to create easy foolproof freezer meals that my family loves. Quite honestly, for me this is no small task–as a vegetarian I have never been all that confident about cooking meat. But since meat is apparently my entire family’s love language, I have pressed on. 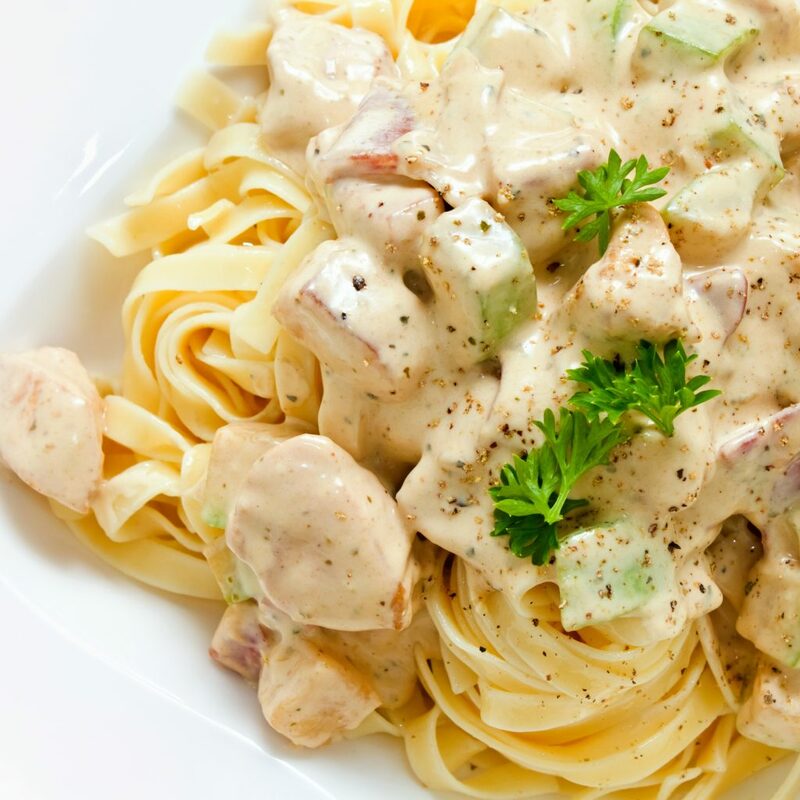 Not every dish is a hit–I don’t usually share the failures–but this super easy creamy Italian chicken was an absolute home run! In fact, my oldest daughter called it the yummiest thing I have ever made. Not bad for a dish with just six easy ingredients and 5 minutes of prep! Step 1: In large bowl, whisk together Italian dressing, dressing mix, cream cheese, and cream of chicken soup until smooth. Step 3: Divide chicken into bags; press out air and freeze. Step 4: Place contents into slow cooker; cook on low for 3-4 hours until chicken is cooked through. Or, if preferred, thaw and bake in shallow dish at 350 degrees for 30 minutes, then sprinkle with Parmesan cheese and broil for several minutes until cheese is lightly browned and bubbly. Serve over pasta. This slow cooker friendly recipe uses pantry staples to create an amazing chicken dinner! 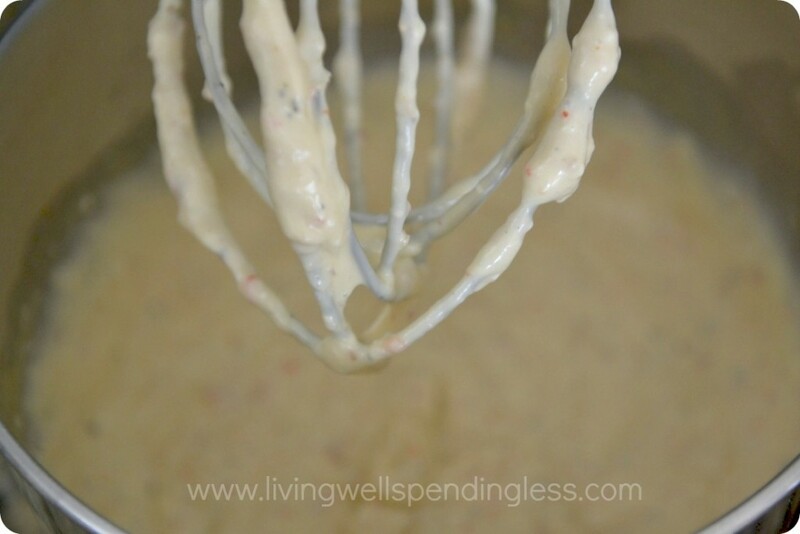 In large bowl, whisk together Italian dressing, dressing mix, cream cheese, and cream of chicken soup until smooth. 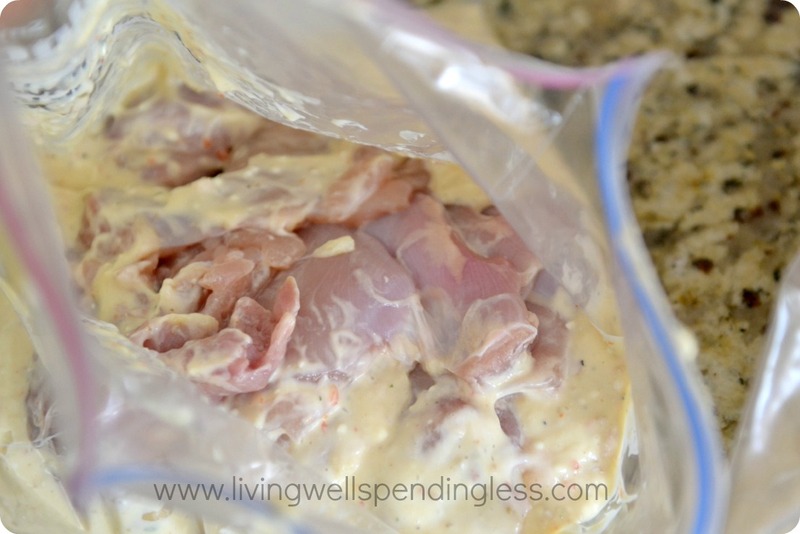 Divide chicken into bags; press out air and freeze. Place contents into slow cooker; cook on low for 3-4 hours until chicken is cooked through. Or, if preferred, thaw and bake in shallow dish at 350 degrees for 30 minutes, then sprinkle with Parmesan cheese and broil for several minutes until cheese is lightly browned and bubbly. Serve over pasta. Can also be cooked in slow cooker for 3-4 hours. Yes, it makes 8 servings total–2 servings of 4. Good but way too much Italian. Needs about 1/2 that much. The dressing or the package or both? At least the package. It was a very overpowering Italian flavor. And we like Italian.. I have not made it again yet with less. Maybe I will next week. Do you happen to know the nutrition facts per serving? With two blocks of cream cheese, why bother asking?? Not to mention the GMO-laced salad dressing. Gross! It’s obviously terrible for you! This is why Americans are fat. really what is wrong with you , when you have a family of 5 and are on limited funds you need to make meals that stretch this is what you do . and yes I am a fat happy woman .. There are ways to work around high fat cream cheese. Try the lower fat Neufatchel? – you’re not baking so it’s worth a try. Also try to substitute your favorite dressing or simply try olive oil and vinegar. Plenty of salad dressings without GMO’s are available. I don’t know about the GMO’S but I calculated the recipe with the my fitness pal app and it’s 536 cal per serving 9.0g fat 62g protein the sodium is pretty high though I used fat free cream cheese, fat free italian dressing, aldi’s fit & active cream of chicken soup and barilla protein plus pasta. Well it is divided between many people.. You can use reduced fat cream cheese and whole grain pasta.. Add a salad. No one said to drink the sauce! We loved this recipe but I always have to remember to add pasta to the ingredient’s list since it’s not included in your printable recipe. Thanks for sharing! Made this for dinner the other night and have two comments to make about it. First, the chicken was delicious — moist, flavorful, and tasty. The sauce, however, has way too much Italian dressing in it. 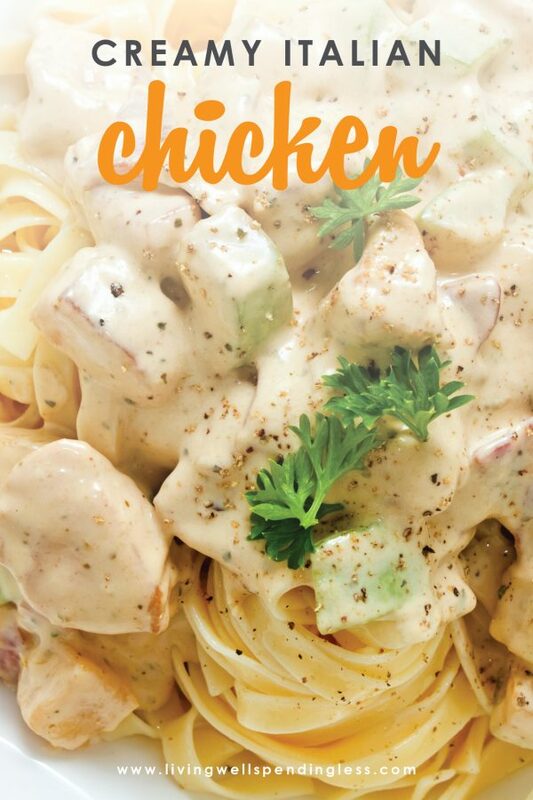 The whole family agreed with this…..everyone liked the chicken that was cooked in the sauce, but they didn’t like the sauce poured over the noodles. We’ve all agreed that we’ll make this again, but we won’t use the sauce from the pan to coat out noodles with next time. I said the same exact thing! The fact that this site is called living well is quite ironic. The directions don’t make any sense. I used about half the liquid Italian dressing and it’s really watery. Also, it’s baking for 45 minutes and still the chicken isn’t done. I would not recommend this recipe. 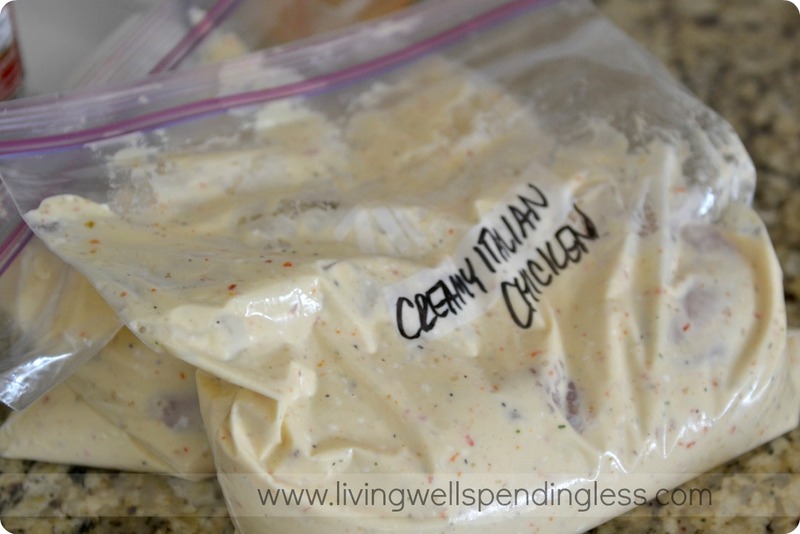 I make this recipe, but the Italian dressing doesn’t go in the sauce…. 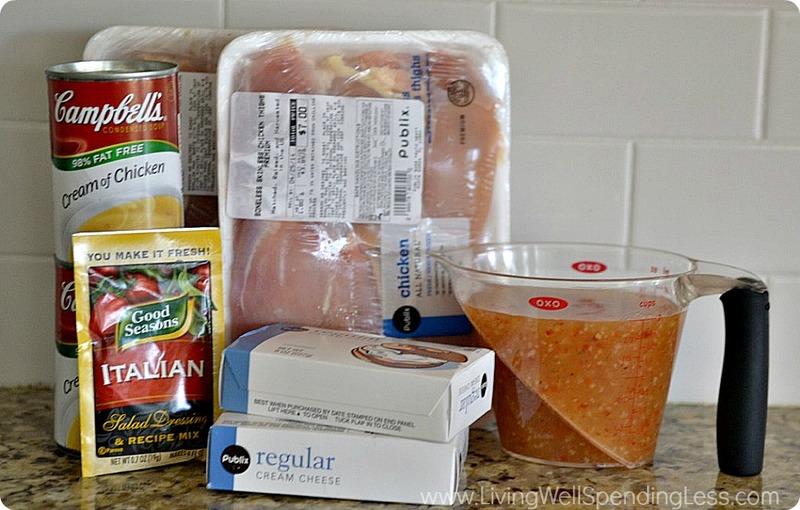 the raw chicken goes in the crock pot with the Italian dressing on it as a marinade as it cooks…makes very tender and moist chicken! When the chicken is cooked, drain off the dressing and throw it away. Then put the other ingredients in the crock pot, chop the chicken and add it back to the crock pot. Stir and heat thru, til cream cheese is melted. serve over pasta. 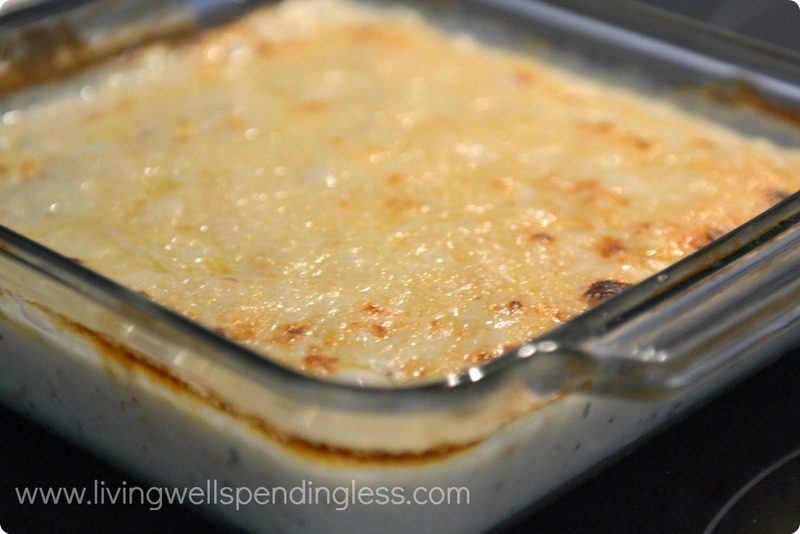 And the picky eaters at my house ALL love this recipe…which is very unusual for my house!!. It would be hard to do if trying to stay away from processed foods.have to make your own mushroom sauce I suppose.. It was way too much Italian dressing. We couldn’t eat it. I was very disappointed! Especially after spending $30 on all the ingredients and it went to the trash. 🙁 It might be better with much less Italian dressing but I’m not brave enough to try it again. Super Dumb Question. It calls for Italian Salad Dressing, does this mean Zesty or Creamy? This sounds good Berni, I will try this. Kids hated it.. Won’t make again, sorry.Too much Italian dressing flavor that overpowered the entire dish!! On our way to Taco Bell for dinner tonight instead. I let the chicken marinade in the Italian dressing only. Mixed the cream cheese and condensed soup and froze in a separate bag. When I thawed them, I only put chicken not marinade in the crock pot with cream cheese mixture. Perfection! Putting the dressing in the crock pot the first time made the dish too tart for our taste. Leaving it out this time was perfect. Thanks again! Do you put the chicken contents straight into the crock pot frozen? Just wondering if you thaw first. I have made a very similar version. However, I just use one brick of cream cheese and the dry Italian seasoning mix only….the bottle of dressing is over kill. I put 4-5 frozen chicken breasts in the crockpot on low with 1 stick of butter. Once I get home from work, I shred the chicken with 2 forks, add the 2 cans of cr. of chicken and the brick of cr. cheese cut into cubes. Throw it all back in the crockpot until cr. cheese is all melted. I serve it over egg noodles, but you can also service it over rice! Made this tonight for my husband, my son, and myself, and we loved it. My son is 18 months and so picky, I really struggle to get him to eat. He went to town on this! I had made him his own dinner, but he kept pointing at my bowl, so I let him try a bite, and it was clear that it was a hit with him. Thanks, Ruth! Definitely too much dressing. I don’t think these comments are being read or the recipe would be updated. Waste of food on our end too. I really like the other recipes though.